Ground conditions are fantastic!! NEW combinations available for 2019. Wilder Ways will be back between 16th Sept – 6th Oct 2019. Schedule is now live! Winner of Equestrian Business of the Year 2019 at the horsescotland awards! Lindores Equestrian is a training facility ideal for any horse or pony rider whether they want to horse ride for pleasure or progression! Pony Clubs, Riding Clubs, private individuals and international riders are welcome. We provide facilities for riders of all ages and abilities. 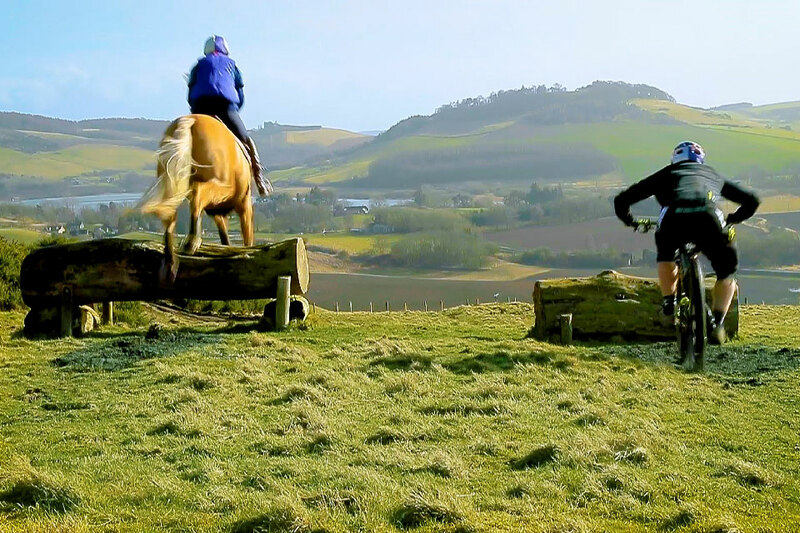 Based in Fife, Lindores Equestrian is the No.1 horse holiday destination in Scotland, as voted by EQ magazine. We were also a finalist for Equestrian Business of the Year at the HorseScotland Awards 2018 and 2017. 2019 has lots of new training clinics, kids and adult camps and cross country course improvements and more. Award Winning coach Martin Arnott is hosting cross country clinics at fantastic value to get riders off to a good spring start. Next available dates: 28th March 2019, 4th April and 11th April – spaces available. Our new Olympic sized outdoor arena 60m x 40m is coming up for its 1st birthday. Its been hugely popular and a great addition with its full set of FEI Approved show jumps. Scotland’s first ever pace training facility with stopwatch hire was launched last year and we’ve made further improvements in 2019. What is it? Find out more here. 5 star rated Wilder Ways adventures will be here for 3 weeks in September and October 2019. This is a fantastic opportunity people that don’t have a horse but want to hire one to experience UK horse riding. Lindores always has something different to offer and makes every effort to grow with customer feedback!